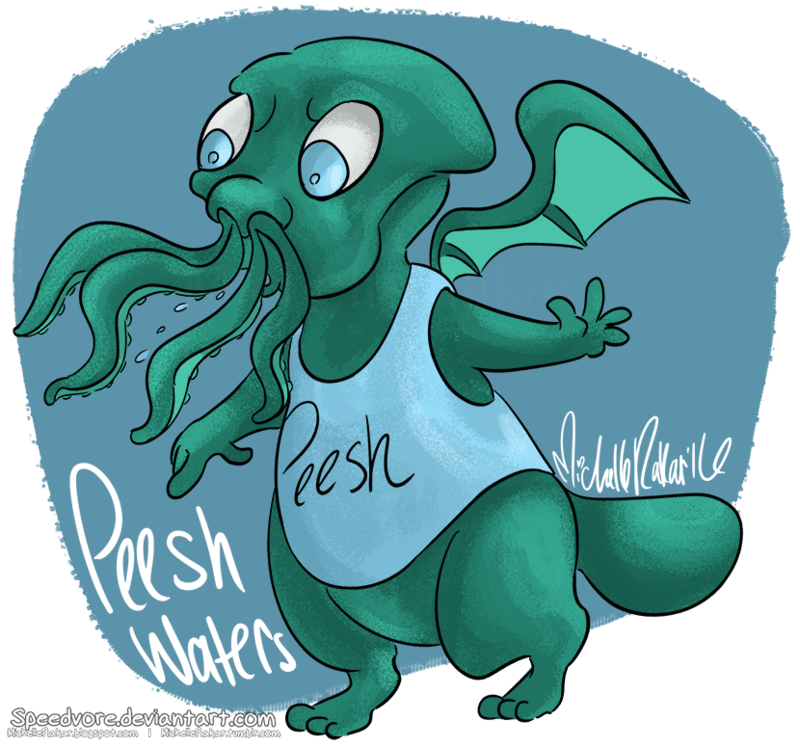 Peesh is a creature that loves water, and often spits on people. He likes to take water into his mouth and then slowly spit it out while saying "peeeeeyyyy." Peesh drinks about 5x the amount of daily water that a normal creature would drink, because he always needs to be hydrated. He usually carries a jug of water around with him and refills it wherever he finds water. 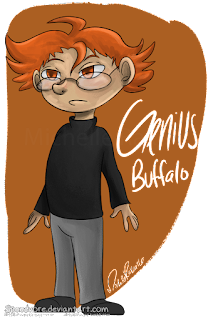 Genius is the logical brother, who often helps out Sally Bullrider. 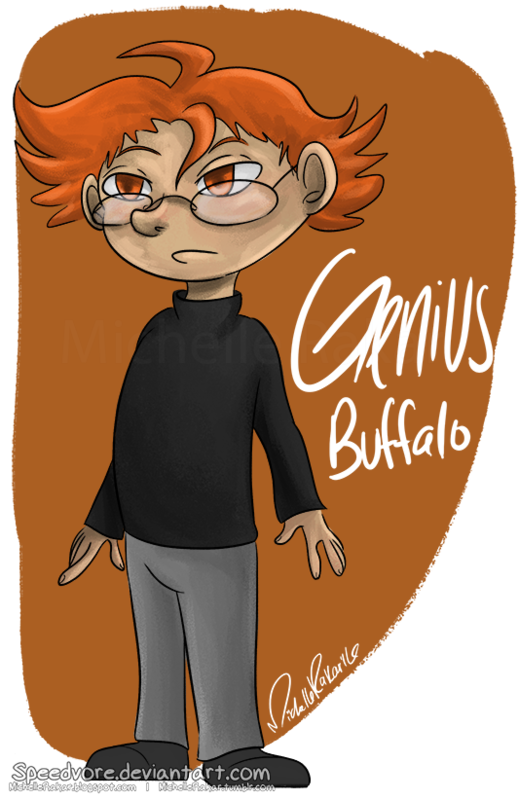 He is the smartest member of the Hairy Buffalos, and will often think up ideas or plans of action for the other Hairies. Genius is the oldest and the brains of the group, but he is not as much of a leader, which is why he usually stays in the back.